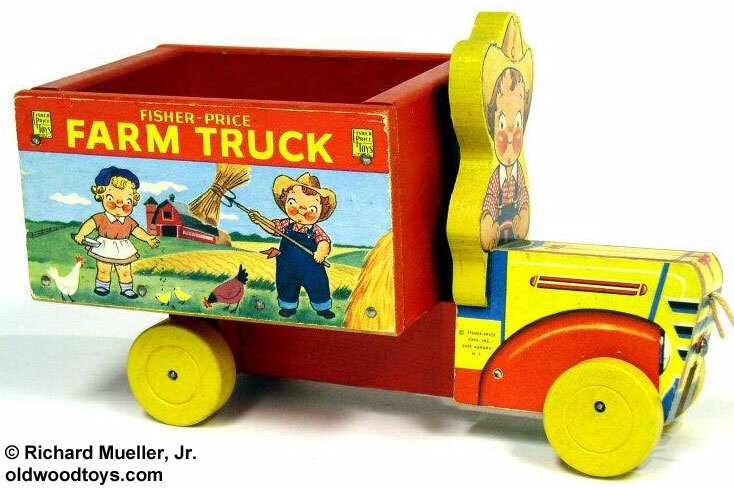 Description: The #845 Campbell Soud Kids Farm Truck was the 50th Anniversary "Campbell Kids" promotional toy in 1954. 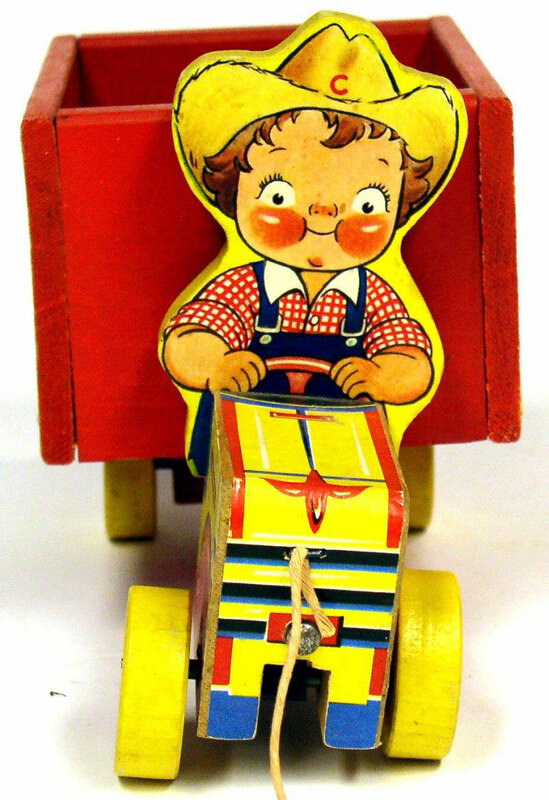 The wooden truck has a wooden Campbells Kids farmer driver. When pulled, the driver sways back and forth and the truck makes a "brrr-brrr" sound. The Truck was sold with a "Campbell Kids" vetetable cut-out folder with information about vegetables and cut-out vegetables to play farm. FPT1672 - Red wooden truck with a rectangular truck bed in the back. The engine has yellow paper lithographs on the front, top, and sides and a wooden cut-out driver figure. The driver has a paper lithograph on the front of a Campbell's Soud kid wearing a yellow hat and blue overalls holding a steering wheel. 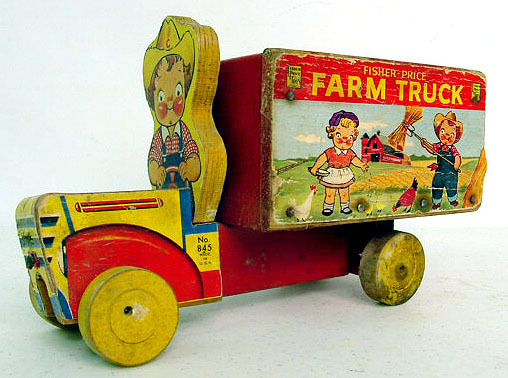 The sides of the truck bed have a colorful paper lithograph with a farm scene, two Campbell's Soud kids, and the words "FARM TRUCK". The driver sways from side to side and the truck makes a "brrr-brrr" sound when pulled. Measures 9" long, 5-3/4" high, 4" wide. FPT1670 - Paper vegetable cut-out folder book titled "Market Market - Campbell Kids Harvest Their Vegetables with Vegtable Cut-Outs". 1954 original retail price was $1.25 in the East and $1.39 in the South and West.